DW: I have found the quality of the POD publications that I've purchased range from awful to mediocre at best. The fact that pricing is no different, and often higher, than traditional publishing only serves to sour the experience more. Your book is a notable exception. Overall, how would you describe your experience with iUniverse? RM: Unlike what typically happens with established authors, I had Thunder basically written before I seriously starting thinking about publishing. I soon came to learn that, regardless of how good a book is, an unknown, first-time author is really up against the odds in getting a book published. I was faced with shopping the book around for years with no guarantee of success. Fortunately for me, a local author had used iUniverse with smashing success, and he turned me on to the possibilities. I’m glad he did. iUniverse does a really nice job. I like the opportunity to control almost every aspect of the book. I was quite obsessive about the quality of the book and how it was presented. iUniverse indulged just about every compulsion. DW: How closely did the publisher (iUniverse) work with you? Do they present you with many different options in terms of font, paper & binding quality, cover art, etc.? RM: iUniverse can give you a one-stop shopping experience in terms of content. They can give you an objective assessment of your text, recommend fixes, professionally edit and proofread your entire work, give you a book cover, and get you listed on Amazon.com and B&N.com. iUniverse sets the book price, but the royalty is a very nice twenty percent. In terms of paper and binding, iUniverse sets all that too, but I found their choices to be quite good. They also have set fonts to choose from. Thunder is in both hardcover and soft cover versions, and both are topnotch. No one who picks up my book can tell who the publisher is by just looking at the physical structure and appearance of it. Also, once you sell a certain quantity of books, you can apply for their Star program. If you are accepted, iUniverse then invests further in you (at no cost to you) by re-editing the text, if necessary; providing upgraded cover options; setting up a professional press kit; lowering the book price considerably; and helping to design your marketing program. iUniverse Star books also become returnable stock, which is key to getting retailers to put your book on the shelves. Unless your book is returnable to either the wholesaler or the publisher, a retailer is not likely to stock it. Thunder From a Clear Sky is the first iUniverse Star book dedicated to a Civil War event and I think it broke some new ground for them. I will definitely consider iUniverse again for my next work. DW: Do they do anything to promote your book? RM: They don’t do much other than to alert you to the importance of promotion and advertising. They set you up on their website, and you can list your speaking events on their calendar. It’s mostly up to you, and I like that. I control how I present my book. I do it on my schedule, and I accept only the speaking engagements I want to do. I have only myself to blame or congratulate on the success of Thunder, and it has done quite nicely. I’ve enjoyed the marketing aspect of it much more than I thought I would. Getting close to my customers has been a great joy for me. For example, as a result of contacting John Hallowell, the editor of Texas Hill Country Magazine, I was able to do a book tour in Texas where I met the family of Adam Johnson. This was a huge thrill for me, and the Johnson family has really embraced the book. I doubt any book publisher would have stretched that far for an unknown author. DW: Photos, illustrations, and maps are critical to producing a good CW book. How receptive or understanding was iUniverse to this idea? RM: No problem on photos, illustrations, or maps. Whatever you want to include, wherever you want to include it, is okay with iUniverse. The kicker is you have to produce and provide to iUniverse the graphics scanned at 300 dpi, and you have to imbed the locations in your text. However, you get a chance to review and approve everything before it goes to print. DW: Are they transparent with sales data and how often is this calculated . . . quarterly, bi-annually? RM: This is more good news. You get an exact accounting of every wholesale book purchased by brick and mortar stores like Barnes & Noble and every retail book sold through online sources like Amazon.com. All your sales accounting is online at the iUniverse site, so you can check anytime 24/7. The sales are updated every month. Everything is clear and easy to understand, and the royalties are paid on time. Again, I’m impressed. DW: What advice would you give authors considering POD publishing? RM: The whole POD experience is gauged toward giving the author exactly what he or she wants. That’s good if you happen to know exactly what you want. It is important for a new author to be honest about what one is trying to accomplish. If you want one hundred copies of a book you wrote to give as family gifts, then you have many POD choices. However, if you are going to dedicate years to researching and writing a high-quality work and putting the endless effort into selling it, then you want to give yourself every advantage. First, get your manuscript professionally edited. iUniverse did a nice job for me. Second, know your audience. Do a lot of thinking about the people you expect to buy your book. For example, I had to decide on having a soft cover and/or a hardcover version of Thunder available. The Civil War readership loves hardcover versions for their collections so; if you are writing a CW book, make sure a hardcover version is available. Also, think about what your readers expect; for example, when selecting font sizes, consider the age of your audience. Third, before you have it published, start thinking about how you are going to sell the book. There’s no point writing a great book if no one knows about it. The POD experience is mostly a do-it-yourself operation on the sales and marketing end, and it is important to adjust your expectations about what you’ll need to do to get your book sold. This can turn out to be a rewarding, even life-changing, experience. When choosing a POD publisher, get a few examples of each publisher’s books. Note the cover, the colors, the print, the pages, the price, the binding, the rendering of pictures, the font, everything. Say to yourself: would I be proud to put my name on this book? iUniverse worked for me, but there are other choices. DW: Do you have any other Civil War-related projects in the pipeline? What's up next for you? RM: I have several things in the works. Of course, I’ll be supporting Thunder From a Clear Sky with a full slate of speeches and appearances in Illinois, Kentucky, Indiana, and Tennessee in 2007. I’ll be posting a podcast from at least one of these appearances on my website. I have also been asked to contribute two pieces to an upcoming compilation on Kentucky Confederate generals. It will be published through the University Press of Kentucky and is due out the end of 2007. My biggest project is a regimental history of an Indiana unit that my wife’s great-great-grandfather was a member of. The family has dozens of unpublished letters that he wrote from 1862-65, and these letters will be used to tell his story and the story of his regiment for the first time. Get my RSS feed and bookmark www.thunderfromaclearsky.com for more information on all my projects! DW: I look forward to it. Thanks for sharing your experiences in the POD publishing arena. 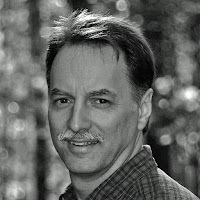 I reviewed Raymond Mulesky's book Thunder from a Clear Sky: Stovepipe Johnson's Confederate Raid on Newburgh, Indiana earlier in the week, and was interested in an author's view of Print-On-Demand (POD) publishing. Ray has graciously agreed to answer a few questions about his own experience. DW: Before we get into publishing, I wanted to ask you about your central figure in Thunder From A Clear Sky and your website. You speak to this in your source essay to some extent, but, in the pantheon of self-serving memoirs, how would you rank Adam R. Johnson's The Partisan Rangers of the Confederate States Army as a source? RM:(pictured at left) Johnson’s memoir is no doubt self-serving, but I’m extremely glad he passed it on to future generations. In my first read-through, I could barely digest the breadth of this person’s life. I found myself asking why America is relatively unaware of this man. However, when a researcher approaches any personal account as a source document for a larger work, I think he/she should proceed with care and skepticism. The written interpretation of human events is always colored by the cumulative experiences of the writer. To some extent, the researcher needs to become knowledgeable about the author of a first-person account before he/she can properly assess the approach taken toward that account. One of the most important things I’ve come to understand with almost any source document, and particularly with first-person accounts, is that “reality” and “truth” are personal. The sooner a researcher accepts this, the sooner one can get on with the business of placing the account in context and cross-checking the author’s facts and perspective. At first I had no idea how accurate Johnson’s memoir was, so I decided to do some cross-checking on some verifiable details. The very first thing I checked became indicative of the author’s general method. Johnson says that on June 29, 1862, he attacked a garrison of Union troops in Henderson, Kentucky, and infers that he killed a lieutenant named Lyon. In my research of this event, I found that Adam Johnson did attack a Union garrison on that date, but he did not kill an officer named Lyon. He killed a lieutenant named George B. Tyler, which I was able to confirm through newspaper accounts and a letter describing his death written by Tyler’s commanding officer. This is how it goes throughout. Johnson gets the big picture correct but is shaky on timing and details. After long analysis, my belief is that Johnson’s book is more a late in life, “stream-of-consciousness” epic than an attempt to stake claim to a strict, objective, accurate chronology. Partisan Rangers documents Adam Johnson’s truth in Adam Johnson’s way. He led a long life and was witness or participant to many important events. The book is about his life as he remembers it. Adam Johnson’s memoir was written sometime during the last decade of the nineteenth century. I know that he met with his publisher for the first time in 1902, and the book was published in 1904. By that time, Johnson was nearing 70 years of age. Even with the best intentions, it is not surprising that a person trying to recall experiences forty years in the past would be able to remember the grand outline of events but make numerous factual errors. In the end, I used Partisan Rangers as a guide but grew to understand that many details were suspect. It was my Iliad in the search for my Troy. It’s a great place to start, but read with care. DW: In a recent interview, publisher Ted Savas mentioned that he requires his authors to be proactive, part of which includes the creation of a professional website. After originally finding out about your book by chance from Amazon, one of the factors that led me to actually purchase your book was your website (a rather uncommon tool for Civil War authors at the time). Did your publisher encourage the development of your website or was the idea your own? RM: The website, www.thunderfromaclearsky.com, was totally my idea. I thought it would be fun, useful, and a great learning experience for me. I knew absolutely nothing about establishing a website when I first started thinking about it in 2004. I didn’t know how to get a domain name, I knew zero about what it took to build a website, and I knew nothing about the software needed or about organizing content. Luckily, the Internet has all the answers, but it takes time, some money, and a bunch of patience. Everything I know about building a website is self-taught, and I’m still learning what it takes to establish a site that gets good traffic. DW: Have you found the website to be important in terms of driving book sales? RM: Yes, but not in the way some may think. I have links from my site to Amazon.com and Barnesandnoble.com and although things are trending upward, I don’t sell tons of books on those sites. However, many of my speaking engagements come from people who drop by the site and then email me with an invitation. Between speaking fees, the books I sell at personal appearances, and the contacts I’ve made, it has been well worth it. Plus, I’m a lot more Internet savvy now than I was three years ago, and that will be helpful with my future works. Mulesky: "Thunder From a Clear Sky"
I've never been one to dismiss all print-on-demand publishing efforts out of hand; however, it bears repeating that it remains a difficult and very time consuming task to wade through the offal and uncover good--or even adequate--Civil War books published by the growing number of POD service companies. Because of this, most people understandably won't make the effort, but I try to keep abreast of what comes out of Civil War publishing, no matter the outlet. I am certainly happy to say I wasn't disappointed with this book, author Raymond Mulesky's Thunder from a Clear Sky: Stovepipe Johnson's Confederate Raid on Newburgh, Indiana. On July 18th, 1862 Adam Rankin (soon to be "Stovepipe") Johnson raided the town of Newburg, Indiana, capturing a sizeable cache of supplies and weapons. Johnson's success was due to several factors, not the least of which was intelligence help from three sympathetic Newburg citizens. Additionally, the weapons were stored unguarded inside a warehouse located near the river. Across the Ohio, a section of Quaker guns (one of which sported a barrel constructed from a section of stovepipe) threatened the town, further discouraging resistance. Although a massive naval and land force was assembled to punish Johnson and his raiders, he eluded his pursuers and lived to fight on later on at the head of what would become the 10th Kentucky Cavalry. Ray Mulesky has written a stirring account of the events surrounding this raid in his book Thunder from a Clear Sky: Stovepipe Johnson's Confederate Raid on Newburgh, Indiana (the 'h' was added in the postwar period). Mulesky sets the stage by recounting Johnson's raiding and recruiting operations in western Kentucky, including the actions at Henderson and Slaughtersville. The reaction of Union forces to these raids is detailed, as the Federals struggled to respond to Johnson after sending away most of the garrison troops to defend vital points from John Hunt Morgan's troublemaking horsemen in central Kentucky. The author writes very well and his deeply researched chronicle of the Newburg Raid is an excellent piece of military history. However, the story doesn't end with the raiders' recrossing of the Ohio River and their finely orchestrated escape with goods in hand. In the long view, Johnson's daring exploit backfired in a way, as it actually served to increase volunteering in Indiana. The raid also led to large numbers of vengeful Federal troops descending upon towns in western Kentucky and arresting both real and suspected southern sympathizers. Whether the raid was ultimately worth it or not is certainly up for debate. I am not a big fan of the workmanship put out by the general run of print-on-demand publishers, but this book's overall value is clearly among the best. The text is expertly edited and the layout attractive. Binding and paper are also of a fine quality. The only aesthetic complaint I have pertains to the continued limitations of the technology in terms of reproducing photographs. The lone preventable aspect of the book that I would quibble with was the absense of fully original maps to augment the two period maps that were included. I would suspect that anyone interested in Civil War irregular operations, and the war in general in Kentucky and Indiana, would benefit from reading this fascinating history of the Newburg Raid. Ray Mulesky is to be congratulated on bringing an obscure event to light, while at the same time fleshing the story out into a book length study that examines the events preceding the raid in depth and also analyzes its strategic consequences. I look forward to this talented author's next project. 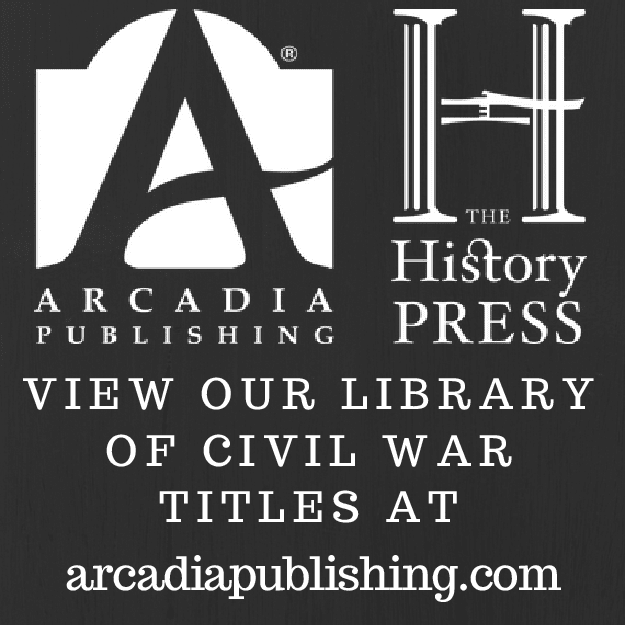 Nichols: "Guerrilla Warfare in Civil War Missouri, Vol. 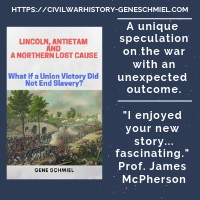 II 1863"
Readers interested in the Civil War in Missouri owe a debt of gratitude to researcher Bruce Nichols for his extensive documentation of the guerrilla warfare that raged throughout the state. In 2004, Mr. Nichols’ Guerrilla Warfare in Civil War Missouri, 1862 was published. Books that serve primarily as reference works, no matter how groundbreaking, are not often accorded the level of recognition they deserve, and this book was no exception. Thankfully, through the author’s diligent efforts, Volume II has been completed, providing us with a record of all known guerrilla actions in Missouri through 1863. Both volumes have the same overall structure. Rather than utilize a traditional narrative format, Nichols has elected to segregate the guerrilla actions he describes regionally by dividing the state into quadrants. Chapters are further divided seasonally. Beyond its logical parallels with the seasonal nature of the guerrilla fighting itself, the structure also works quite well as an organizational tool. On the other hand, this type of compartmentalization can lead the reader to lose sight of the larger picture at times. Also, in terms of enhancing readability, more analysis sections could have been employed to break up the text’s often extensive litany of atrocities. While much of the literature of the Missouri guerrilla war remains characterized by emotional bluster and frank bias, Nichols is refreshingly evenhanded. His research is thorough, relying on the use of corroborating sources drawn from a range of materials, including official records, newspapers, diaries, letters, and county histories. Not surprisingly, large numbers of Missouri county histories written just before and after the turn of the century carry a significant emphasis on the Civil War years. Well over a hundred maps, illustrations, and photographs also accompany the text. In terms of layout and materials, Guerrilla Warfare in Civil War Missouri, 1863 is an attractive and high quality publication. Although much of the text focuses on the military conflict between pro-Southern “bushwhackers” and the often confusing network of Unionist militias (Missouri State Militia, Enrolled Missouri Militia, and Provisional Enrolled Missouri Militia units), the civilian experience is recounted in all its horrors. Targeted by both sides, Missourians were murdered on an appalling scale. Certainly the appointment of local militias was a double-edged sword. These men were familiar with the local geography and its residents, but this very intimate knowledge of the sympathies of the population (combined with a general lack of restraint from above) often led to an unending cycle of murder and revenge born from personal vendetta. Although scattered articles exist, this book really underscores the need for a scholarly analysis of the organization, composition, and operations of the Missouri militias. Other subjects associated with the conflict, such as the extensive property losses incurred and the military prison apparatus in St. Louis, are discussed at some length in the book. On the other hand, the struggle between conservatives and radicals in the state government and how this affected the conduct of the anti-guerrilla campaign is a factor I would like to have seen developed further. 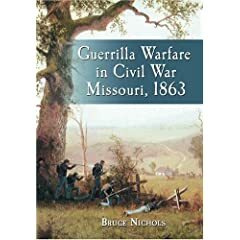 By any measure, Guerrilla Warfare in Civil War Missouri, 1863 should be regarded as an important contribution to the historiography of the Civil War in Missouri. Although this book may not be of the kind that all readers will read from cover to cover, it will likely stand the test of time as an invaluable resource for a wide range of interested readers. William Harris Bragg has researched and written widely about the men and campaigns of the various Georgia state militia organizations. Joe Brown's Pets: The Georgia Militia, 1862-1865 (with co-author William Scaife) provides the reader with an overview of the state militia's role in the Atlanta Campaign, the Battle of Griswoldville during Sherman's March, the Battle of Honey Hill, and the siege of Savannah. Appendices examine the various militia entities raised throughout the war (including rosters and casualty lists) and how the 'melish' were perceived by various groups. Joe Brown's Pets is beautifully put together, richly enchanced with full page photographs, drawings, and maps. An earlier book length study by Bragg, Joe Brown's Army: The Georgia State Line, 1862-1865 , is also available. Griswoldville goes into somewhat more depth on Sherman's March and the titular battle. Although, it has a similar range of photos, illustrations, and maps, Bragg covers the battle itself in only a handful of pages. A short history of the town and its founder is included, as well as a few chapters dealing with George Stoneman's raid. 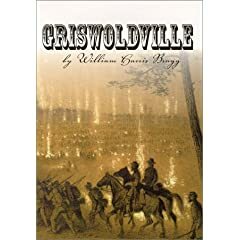 For a much more detailed tactical history (if that's what you want) of the Battle of Griswoldville, I would recommend Gary Livingston's flawed but still useful Fields of Gray, Battle of Griswoldville, November 22, 1864 . I recently revisited the one issue I own of Savas Publishing's Journal of the Indian Wars. Volume One-Number 3 [see Table of Contents from Savas-Beatie website] deals with the Civil War years. In addition to the fine articles, there is a recommended reading section. The essay is attached to a lengthy article by Michael Hughes that comprehensively covers the Civil War-era conflicts with various Indian groups. I've been searching for a good book that details Kit Carson's Navajo campaign. Of course, Carson is a highly divisive figure and a book that one person would judge simply as fair, others might find extremely negative or fawningly positive. Perhaps an example of this phenomenon would be Hughes' essay comment on Kit Carson: Indian Fighter or Indian Killer?, deeming it "a hard-nosed examination" of Carson. This is in sharp contrast to this professor's review of the same work, that found it to be a rather useless pro-Carson polemic. I think I'll start with Trafzer's The Kit Carson Campaign: The Last Great Navajo War. It's been characterized as a very harsh attack on Carson's historical reputation (and thus drawing fire from later books), so I am surprised Hughes' essay gives the opposite impression. 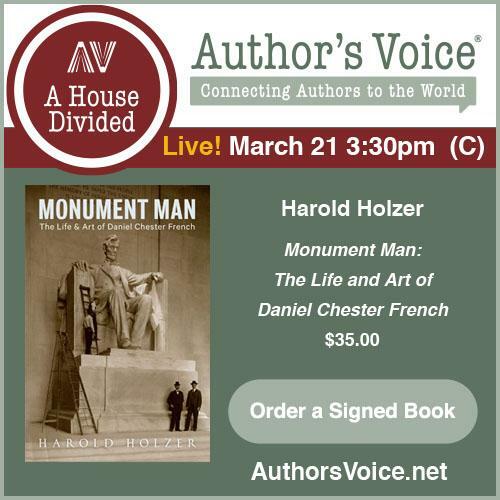 In light of the contradictions above and the fact that Hughes has the author of Clifford E. Trafzer's book as E.O. Clifford, I am thinking that the essay was written hastily from memory. On the other hand, the other recommendations seem to be in line with current opinion and I found the list to be useful overall. I guess I'll find out for myself. That's the best way anyway. 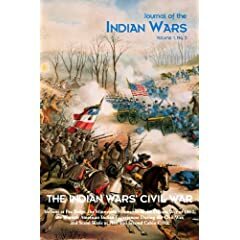 The Journal of the Indian Wars was sadly short-lived as a quarterly publication, and I would greatly recommend getting a copy of this issue while it is still available new. While not directly Civil War related, I found Volume 1-Number 2 Battles and Leaders East of the Mississippi to be very interesting as well. 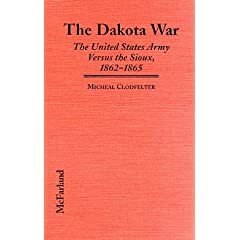 Clodfelter: "The Dakota War: The United States Army Versus the Sioux 1862-1865"
Although the story of the 1862 Santee uprising is told well in both Duane Schultz's Over the Earth I Come: The Great Sioux Uprising of 1862 and the Minnesota Historical Society's publication of Kenneth Carley's The Sioux Uprising of 1862 [I haven't read the more recent works by Jerry Keenan and Hank Cox], the continuation of the war westward into the Dakota territory from 1863-1865 is largely ignored in the literature. Thankfully, Micheal Clodfelter has provided us with a first-rate overview history of the Sibley-Sully campaigns with his book The Dakota War: The United States Army Versus the Sioux, 1862-1865. While most studies end with the mass hanging at Mankato, Clodfelter details the several campaigns that served to drive the hostiles out of Minnesota and into Canada and the Dakota plains. In 1863, General John Pope directed a two-pronged campaign against the Sioux (most of the individuals that participated in the worst atrocities of the 1862 uprising remained at large). One wing under Henry Hastings Sibley followed the Minnesota River toward the Devil's Lake region in the Dakota territory, fighting successful but indecisive battles at Big Mound, Dead Buffalo Lake, and Stony Lake. Instead of destroying the Sioux, the fighting pushed them over the Missouri River to safety. The other wing, commanded by Alfred Sully, was late in its scheduled rendezvous with Sibley but caught the Sioux after they recrossed the Missouri in the wake of Sibley's withdrawal. Sully's larger victory at Whitestone Hill concluded the year's campaigning, leaving the Sioux chastisted but far from defeated. Sully's 1864 campaign utilized more mounted forces and his command was able to catch the Sioux and inflict fairly significant losses upon them at the Battle of Killdeer Mountain. His column then continued on westward into the Badlands before returning to Minnesota. The goal of establishing a fort on the Yellowstone River was unmet. The next year's campaigning accomplished little, and with the end of the Civil War the plains wars really had only begun. Clodfelter's account of these conflicts demonstrates the difficulty of utilizing large, ponderous army columns (and their slow supply trains) in order to catch concentrations of fleet Indians. The lack of a preexisting network of forts in the territory further hampered efforts to bring the hostile groups to heel; the Indians could always just disperse when confronted by white columns coming from a single direction. Although casualties in these battles were comparatively low by Civil War standards, Sioux losses at Whitestone Hill and Killdeer Mountain were nevertheless significant. In battle, the decisive factor was often the U.S. army's artillery. Certainly, the Sioux had nothing to match it and the psychological effect of exploding shells was crushing. Furthermore, compared with the conflicts of the next decade, the Indians' poor arms (mainly bows and arrows) left them ill equipped to handle any sizeable concentration of bluecoats, who were armed with modern shoulder arms. The Dakota War packs an impressive amount of information into a study of relatively short length. Unlike most Indian Wars histories, the maps provided are detailed and plentiful, allowing the reader to easily trace the movements of the army columns as they travelled hundreds of miles over the parched plains. Although rather primitively drawn, the tactical battle maps are exceptional in their level of detail. Well researched, and employing good writing and deft analysis, The Dakota War is noteworthy military history. This book is by far the best work written on the subject and is highly recommended. * - I believe the hardcover referenced above is out of print, but the publisher has released a paperback edition. Miller: "Great Maps of the Civil War"
Topographical engineers and the draftsmen who supported them did extremely important work during the Civil War, but their exertions have been largely thankless in terms of historical memory. Although many readers know the story of Jed Hotchkiss, many mapmakers of equal skill are almost forgotten. Thankfully, several fine works dealing with the underappreciated subject of Civil War maps have been published in recent years. Great Maps of the Civil War is an intriguing addition to this hopefully growing volume of literature. What sets this book apart from the others is the fact that each chapter contains two or more folded maps that the reader can pull out of a sleeve and examine. The removable maps are of varying physical size (some are quite large when unfolded) and run the gamut from simple child-like sketches to beautiful full-color artwork. Many different drafting styles and copying techniques are illustrated. In a nice touch, some especially inaccurate maps are included to illustrate the fact that many generals’ decisions that were sound based on the maps available were actually disastrous when the reality of the situation became apparent. In addition to the maps, the book is also stocked with many period photographs. Although solidly constructed, the book’s organization can be somewhat quibbled with. Short biographies of prominent topographical engineers, along with descriptions of mapmaking and copying techniques, are commonly relegated to sidebars while the main text is a summarized history of the war. Perhaps the reverse would have been more effective and even much of the general background information dispensed with altogether. In terms of geographical balance, two-thirds of the pullout maps are from the eastern theater of operations and it would have been nice to have seen more attention paid to the Trans-Mississippi. The book is not highly technical, but readers who often wonder how Civil War engineers created accurate maps with such relatively primitive equipment will nonetheless gain some interesting insights into the process. 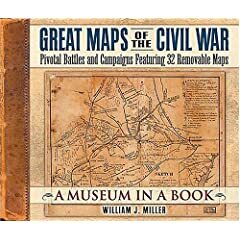 Overall, Great Maps provides a fine introduction to Civil War maps and mapmakers from both sides of the conflict. The removable maps, many not often seen, are generally well chosen and will appeal to a range of reader interests. Naisawald: "THE BATTLE OF LYNCHBURG: Seize Lynchburg--If Only for a Single Day"
Author L. VanLoan Naisawald, perhaps best known for his book Grape and Canister: The Story of the Field Artillery in the Army of the Potomac, 1861-1865, has authored a concise history of Union General David Hunter's 1864 valley campaign, from the aftermath of his army's victory at the Battle of Piedmont to his retreat from Lynchburg. According to the author, significant gaps exist in the source material. While certainly hampering any current effort to write a thorough study of the battle, Naisawald clearly identifies where these gaps occur and, unlike many other authors, avoids filling them with unwarranted conjecture. Although the missing pieces of the puzzle can be frustrating for the reader, a reasonably detailed narrative of the events occurring on June 17 and 18 Battle of Lynchburg is constructed. Sources are evaluated in the main text, allowing the reader insight into the author's line of thinking. It's good stuff, and is best illustrated by Naisawald's insightful analysis of Union general Alfred Duffie's battle report detailing that officer's actions on the 18th. There are a few problems. Although a concrete idea of the battlefield terrain can be gleaned from the maps (including a nice color reproduction on the back of the book), identifying known troop positions is problematic, especially for the Union side. While acknowledging the holes in the data available, maps that better visually connect the reader to the text should have been included. Only one tiny map is original to the book. While the writing itself is clear, it's needlessly repetitive in places. These flaws aside, The Battle of Lynchburg remains a useful introductory history. While a definitive treatment is left to a future scholar, The Battle of Lynchburg is well worth the modest purchase price. Hardy: "The Battle of Hanover Court House"
The Battle of Hanover Court House is the first book length history of the May 27, 1862 fighting that raged north of Richmond in Hanover County at the Kinney Farm, Peake's Turnout, and Hanover Court House. On this day, a brigade sized Confederate force under General Lawrence O'Bryan Branch was attacked and defeated by elements (mostly Morell's First Division) of Union General Fitz John Porter's V Corps. In addition to his providing us with the first full account of this Civil War engagement, author Michael Hardy is also to be commended for his study's multi-faceted approach. The background material covering the Peninsula campaign up to Hanover Court House is drawn from multiple sources (utilizing the latest scholarship), while appropriate primary source materials were consulted by Hardy to construct his detailed microhistory of the battle itself. Recounted in blow-by-blow fashion at regimental level or below, the battle narrative sections should meet the expectations of even the most demanding readers. Great attention to paid to the aftermath of the fighting, most specifically the plight of the wounded and the armies' struggle to provide them with even minimal care. Another chapter discusses in depth and analyzes the newspaper coverage of the battle by both reporters and soldier-correspondents. Finally, the current state of the battlefield is assessed. While the main text runs to 140 pages, four appendices provide the reader with an order of battle, official reports from both Porter and Branch, and a detailed casualty list. Aside from a few minor errors and typos, The Battle of Hanover Court House is a high end publication. I usually don't make special mention of binding quality, but I've always liked the sturdy, glossy textbook boards that McFarland uses for many of its Civil War books (including this one). The text is augmented richly with photographs, illustrations, and numerous maps. My only complaint in this regard is the absence of any operational scale maps, those tracing the approach marches to the battlefield or the positions of nearby units not directly involved in the fighting. Also, in contrast to Hardy's otherwise thorough treatment of the battle, a direct addressing of the book's subtitle, which proclaims the battle to be the "turning point" of the Peninsula campaign, is curiously absent. However, in the end, none of these flaws materially detract from the contribution of this work to the historiography of the 1862 Peninsula Campaign. Exhibiting sound scholarship and analysis, this well written and balanced study of the Battle of Hanover Court House will likely be considered the standard work on the subject for some time to come.